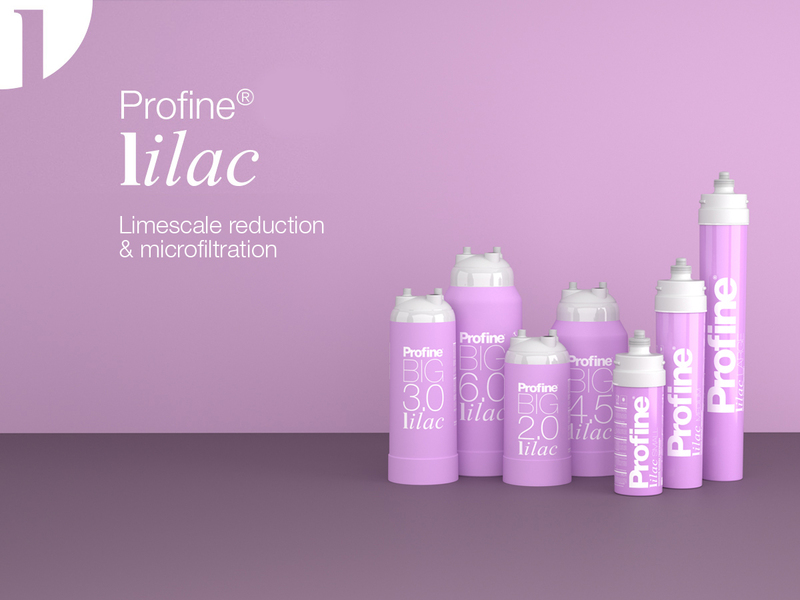 PROFINE® LILAC refines water qualities, enhancing the flavour of coffee and other beverages. 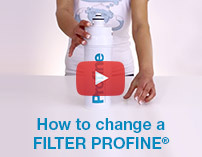 It provides vital protection for the machine’s technology by preventing the accumulation of limescale. It has an exclusive by-pass integrated in the cartridge head. 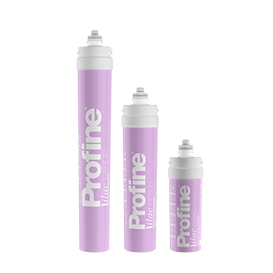 PROFINE® LILAC is a cartridge for drinking water treatment that reduces its carbonate hardness (limestone), removes odors and flavors and has a bacteriostatic action. 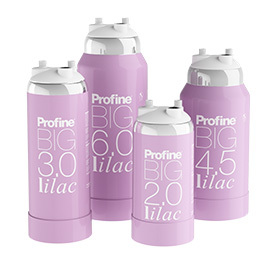 The product complies with EU regulation 1935/2004. Capacities may vary depending on incoming water and flow rates. to meet all food service, catering and automatic distribution demands. The cartridge must be mounted vertically. Use only inout 3/8” female connections. five minutes before drinking it.